Cheap serviced apartment with one bedroom for rent in Lieu Giai street, Ba Dinh district, Hanoi. Total living area is 45 sq.m, including 1 bedroom, 1 bathroom, and kitchen. The apartment is located on high floor of the building with nice view and full of natural light. Lake view serviced apartment with 1 bedroom for rent in Truc Bach, Ba Dinh district, Hanoi. Total area is 65 sq.m, including 1 bedroom, 1 bathroom, a nice living room combined with kitchen and dinning area. Serviced apartment for rent in Hoang Hoa Tham street, Ba Dinh district. Serviced apartment for rent in Hoang Hoa Tham street, Ba Dinh district.The use area is 90 sq m, designed with 2 bedrooms, 1 bathroom, a nice living room and a well equipped kitchen. Living space is bright with wooden floor. 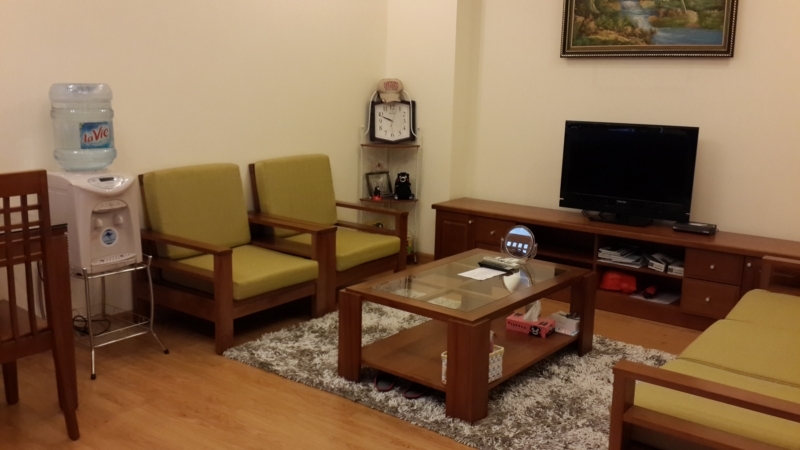 Nice and bright serviced apartment for rent in Ngoc Ha street, Ba Dinh district, Hanoi. Total area is 50 sqm, with 1 bedroom and 1 bathroom. The balcony is the attraction feature of the apartment with fresh air and open atmosphere. It is fully furnished, clean and ready to move in. The rent includes Internet, cable TV. 03 bedrooms serviced apartment for rent in Van Cao street, Ba Dinh district, Hanoi. The construction area is 180 m2, design 03 bedrooms, 02 bathrooms, living room and kitchen. Fully furnished. Facilities: air conditioners, internet connection, phone connection, cable television. Close to the main road, banks, schools, supermarkets, restaurants, shopping center.